Rabbi Moshe or Moses Cordovero (1522-70) stands out as a giant among the great Jewish mystical philosopher-saints, clearly articulating a doctrine of Divine panentheism, God in all, all in God... careful to note that while God (G-d, in pious use) is manifesting all phenomena or creatures, these phenomena are not themselves God in toto. God / G-d is the ultra-intelligent, ultra-benevolent Source, Substance and Destiny of all. Moses grew up and lived in Safed, a small Galilean city in northern Palestine (Israel), where a major renaissance of Jewish kabbalah mysticism would occur through his and others’ efforts. Moses, also known by the acronym based on his title and name, the RaMaK, was one of the most prolific and original figures in kabbalah history, a major influence during his era. Among other things, he was the first to fully integrate the earlier differing schools of Kabbalist interpretation, and he integrates a high-flown mystical theology with pragmatic ethical-devotional-spiritual practice. Rabbi Moses was definitely more interested in intuitive, metaphysical wisdom and moral leadership, eschewing the sensational brand of Kabbalah focused on magical talismans and miracles, practices too rampant then and now. He certainly deserves to be as well known today in Jewish mystical thought as those two towering figures of Jewish mystical contemplation and charisma, Isaac Luria, ha-Ari (who either met the RaMaK or was greatly inspired by him) and the eminent founder of 18th century Hasidism, Rabbi Israel the Ba'al Shem Tov (Master of the Divine Name). The Cordovero family likely came as exiles from Cordoba, leaving Spain after the terrible 1492 edict by King Ferdinand and Queen Isabella expelling all Jews unless they converted to Christianity. Young Moses ben Jacob Cordovero learned rabbinic law (halakhah) and something of kabbalah Jewish mysticism under the great legal authority and kabbalist Joseph Caro (1488-1575). At age 20, allegedly at the behest of a heavenly voice, Moses began to more deeply study Kabbalah, the esoteric heart of the Biblical Torah, with his brother-in-law Shlomo (Solomon) HaLevi Alkabetz. A few years later, while writing the introduction to his own first kabbalist work, Moses said that until he began learning Kabbalah, he was as if asleep and pursuing idle thoughts. Scholar Lawrence Fine, in Safed Spirituality: Rules of Mystical Piety, The Beginning of Wisdom (NY: Paulist Press, 1984), comments on the teacher-student relationship between Shlomo and Moses: “It appears that a reversal of roles took place and pupil became teacher. Cordovero [who for a while served as head of the yeshiva for the Portuguese community of Safed] quickly succeeded in becoming the principal master of esoteric studies in [all of] Safad. His disciples included most of the great mystics of that city,” including the luminary Rabbis Hayyim (Chaim) Vital (1542-1620), Elijah (Eliyahu) de Vidas and Abraham Galanti. Supporting his wife (we don't know her name) and his son Gedaliel by working as a pearl merchant, Rabbi Moshe Cordovero spent the rest of his time drafting, systematizing and teaching a form of kabbalah that combined elements of the Zohar (by Moses de Leon, 13th century), other kabbalist works and teachers, and traditional medieval Jewish and Arab philosophy. Cordovero’s first major written work, Pardes Rimmonim (Pomegranate Orchard), completed when he was only 27, was an encyclopedic presentation of the teachings of the Zohar and all kabbalist thought up to that time. It became one of the most renowned texts of kabbalah and established him as a spiritual leader in Safed. While writing the Pardes, the RaMaK also began a 16-volume Zohar commentary, Or Yaqar (Precious Light), the first comprehensive running commentary on this seminal kabbalah text. He worked on the Or Yaqar throughout his life. Rabbi Moses authored another systematic though more abstract work, Elimah Rabbati, and several further treatises, like the Sefer Gerushin, a short, intimate work of Kabbalist commentary on 99 Divine Names, also revealing his and colleagues' devotionalism, asceticism and piety in their spiritual community. Several Jewish-prayer commentary books were also composed by the Rabbi. And his little treatise Tomer Devorah (Deborah’s Palm Tree) “was the most influential Jewish mystical ethical work for the following centuries” (Geoffrey Wigoder). A deeply motivational text integrating an impeccable morality with a higher, refined sense of kabbalist esotericism, this book outlined the attributes of Divine Crown (Keter) and the other nine Sefirot or Divine emanations, and shows how these can be emulated by human beings. Just as G-d is exceedingly tolerant, patient, forgiving, kind and merciful toward us, so should we be toward others, especially the most terrible sinners and those who harm us. “His existing writings suggest many other compositions which he either intended to write or had actually written, but were lost.” (Wikipedia) Even today, some of his work is only in manuscript form, not yet published, though progress is being made. For instance, in 2005 in Jerusalem a 22-volume work was finally published out of his 16-volume Or Yaqar. Isaac Luria died of the plague in his 38th year just two years afterward in 1572. Though the secret Lurianic system of kabbalah spread by the latter’s disciples (especially Hayyim Vital, a disciple of the RaMaK until the latter's death) eventually came to eclipse Moses Cordovero’s version in popularity, Cordovero’s clear-cut, balanced teachings make for one of the finest expressions of kabbalah ever to appear in print. His panentheist theology-philosophy upholds G-d’s utter transcendence beyond all beings along with G-d’s complete immanence within all beings. Meanwhile, his cogent spiritual insight wisely balances an enlightened nondual view with pure-hearted behavior. Thus can the sagely, saintly Rabbi Moses Cordovero be regarded as one of the most sublime Jewish mystics of all time. 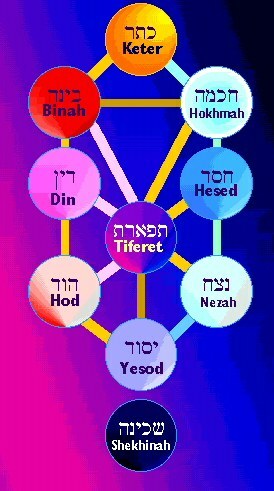 Cordovero endeavored to elucidate all the tenets of the Cabala [Kabbalah], such as the doctrines of the sefirot, emanation, the divine names, the import and significance of the alphabet, etc. Quite original is Cordovero's conception of the Deity set forth by him in his Shi'ur Ḳomah. It is surprisingly identical [at least in a few aspects] with that taught later by Spinoza [1632-77] and there can be no doubt that the Dutch philosopher [of Sephardic Jewish descent, a leading ethicist and a pioneer of the European Enlightenment] alluded to Cordovero when, in answer to the question addressed to him by his friend Henry Oldenburg on the origin of his theory, he referred to an old Jewish philosopher (Epistola, pp. 21-2). "And the Holy One—blessed be He!—shines in the ten sefirot of the world of emanation, in the ten sefirot of the world of creation, and in the ten heavenly spheres. In investigating this subject the reader will find: that we all proceed from Him, and are comprised in Him; that our life is interwoven with His; that He is the existence of all beings; that the inferior beings, such as vegetables and animals, which serve us as nourishment, are not outside of Him; in short, he will discover that all is one revolving wheel, which ascends and descends—all is one, and nothing is separated from Him." It was Rabbi Moses' son Gedaliah (1562-1625) who, years after his father's death in 1570, initiated the publishing of some of the RaMaK's books in Venice, Italy, around 1584-7. Gedaliah was buried in Jerusalem, where he had spent most of his adult life after returning from Venice. Meanwhile, during the late 1500s and early 1600s the published works of Rabbi Moses Cordovero--only a fraction of his total output--began to see editions appearing in the towns of central-eastern Europe, such as Cracow, Lublin and Prague. Much of this likely had to do with the ministry of Rabbi Moshe's disciple Rabbi Menachem Azariah DeFano (Maharam MiPano), author of many works and one of Europe's leading Kabbalists, often teaching from his master's book Pardes Rimmonim and others. [Rabbi Moses Cordovero’s little book Tomer Devorah (Palm-Tree of Deborah), “the most influential Jewish mystical ethical work for the following centuries,” is a moral treatise devoted to the Imitation of God according to the attributes of the Divine emanations or sefirot. Here below are excerpts, from a translation by Louis Jacobs, Moses Cordovero: The Palm Tree of Deborah, London: Vallentine, Mitchell, 1960; reprint NY: Sepher-Hermon Press, 1974. Note: there exists a newer English translation, along with the Hebrew text and copious notes, by Rabbi Moshe Miller, The Palm Tree of Devorah, Southfield, MI: Targum Press, 1993]. Now I have found a cure by which a man can accustom himself to these things little by little so that he may be cured of the disease of pride and enter the gates of humility. This ointment is made up of three balms. The first is that he accustom himself to flee honor as much as possible…. The second is that he should train his thoughts to appraise his own worthiness, saying: 'What does it matter if people do not know how despicable I am, do I not know myself that I am despicable in this and that thing? '… The third is that he constantly think on his sins, desiring purity and rebuke and suffering. And he should say: 'What are the best sufferings in the world, which will not deter me from God's service?' There are none better than that he be insulted, despised and railed against. For these will not withhold his strength from him and he will not be sick. Nor will his food and clothing be withheld nor his life nor the lives of his sons. If so he should actually desire them saying: 'Why should I fast and afflict by myself with sackcloth and flagellation which weaken my strength for God's service that I bring them upon myself? It is far better that I suffer men's contempt and insult that my strength does not depart and is not weakened.' In this way when insults are meted out to him he will rejoice in them and, on the contrary, desire them. From these three ingredients he should compound and ointment for the heart and accustom himself to this all his days.